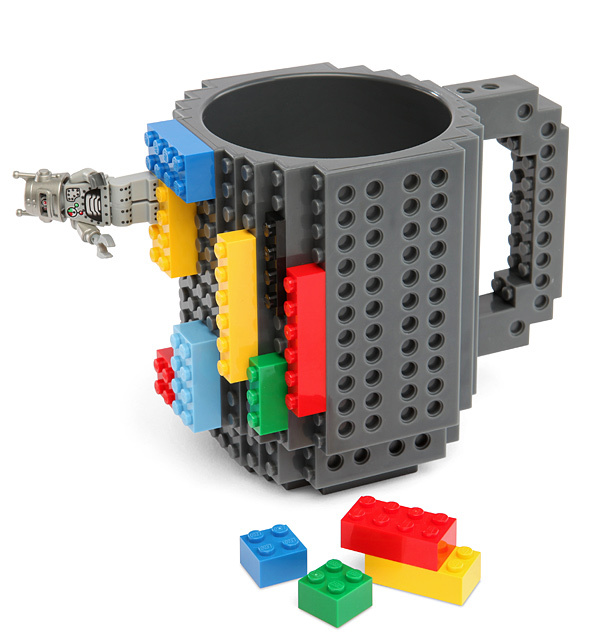 Build-On Brick Mug: Lego my Coffee! But will lego fit into the knobby and bumpy holes? Probably. Will coffee fit in the top hole? Oh Hell yes it will. It does not come with bricks which is just fine by me. I have sets for Days to play with! I might even have to buy a mug for each of the kids and have them customize their own mug for dinner time! 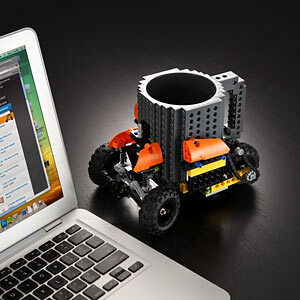 ThinkGeek :: Build-On Brick Mug.